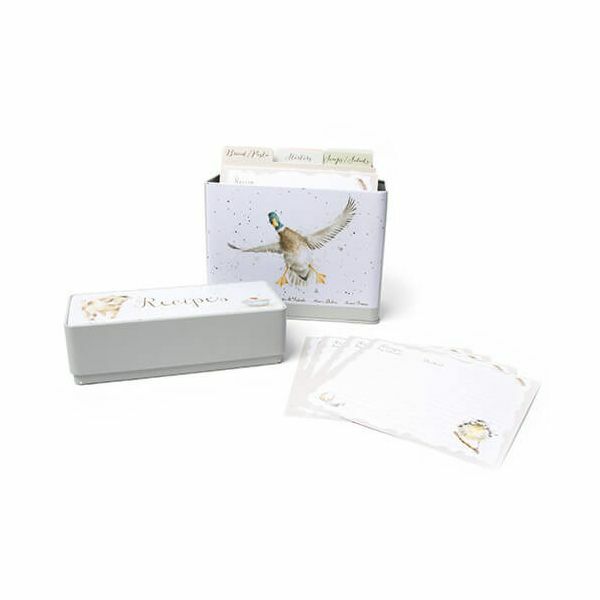 This beautifully illustrated Recipe Tin features the popular Hare and Duck designs outside the tin. Inside there are six dividers and 64 recipe cards all illustrated. Part of the country kitchen collection this set is great as a gift or to extend your own collection.